"The screen fits the ST1100 just as well as the O/E item, it went straight on without problems of any kind. The quality and finish of this screen is also superior to any I have tried previously on the ST1100 or any other bike I have owned, " this is not my first ST1100". With the vario ,wind roar is down by an estimated 80%, and the bike seems more stable than before. I also noticed that I am much less fatigued on long journeys than previously. I now look forward to getting much more enjoyment out of the bike than beforehand, thanks to the vario... worth every penny." 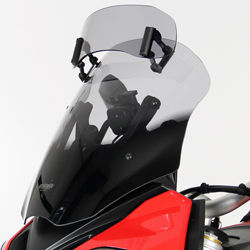 "the item is now fitted to the bike, and a test ride has proven that this product is very successful in its design to greatly reduce wind buffeting, which now allows me to ride at 70mph with open faced helmet, and visor UP, and to have the pleasure of full view of the country side around the area that I will be touring." Pivoting upper part adjusts in angle (and height) by hand - with no tools required - enabling you to alter the airflow directed towards you to reduce turbulence and buffeting, improve your comfort and vastly reduce rider fatigue on - even the longest journeys. 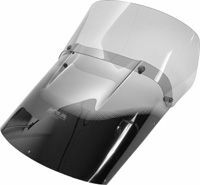 !quote, 41029, st1100paneuropean, pan, european, hondast1100, windshields, wind, shields, motorcycle, vision, vario, screens, vario-screen, gray, grey, tinted, smoked, 90, 91, 92, 93, 94, 95, 96, 97, 98, 99, 00, 01, 02, 1990, 1991, 1992, 1993, 1994, 1995, 1996, 1997, 1998, 1999, 2000, 2001, 2002, st, 1100! 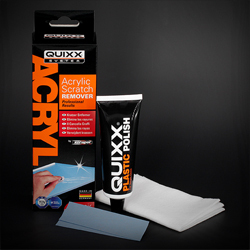 Item as described, excellent service. Thanks. "I am Chairman of The Northern Pan Riders Club which is a North of England based Honda Pan European Club with 300+ members. Myself and many other members have purchased MRA Vario screens in fact I would estimate that over 30 members have bought the screens on recommendation of the club. It is easily the best aftermarket screen available for the ST1100 and we promote your products at every opportunity including the various events that we attend with our club display." 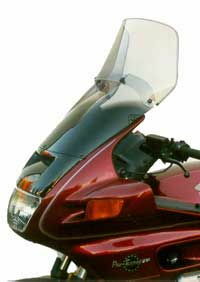 "Took delivery of the Vario Maxi screen for my ST1100. Amazed by the rapid delivery, just 2 days from ordering. Fitted perfectly in minutes and for the first time in 7 years of ownership I had a quiet bluster free 100 mile ride, couldn't believe the difference. 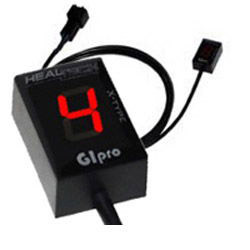 Thoroughly recommended dealer and product!" !quote, 31920, st100paneuropean, pan, european, hondast1100, windshields, wind, shields, motorcycle, vision, vario, screens, vario-screen, gray, grey, tinted, smoked, 90, 91, 92, 93, 94, 95, 96, 97, 98, 99, 00, 01, 02, 1990, 1991, 1992, 1993, 1994, 1995, 1996, 1997, 1998, 1999, 2000, 2001, 2002, st, 1100! For those wondering if this type of screen works, I'd give it 9 out of 10. Screen is probably the best for the ST1100... miles better than OEM. Delayed delivery but comms very good. Thanks.